With credit playing such a huge factor in our financial futures, it’s no wonder we look for ways to maximize our credit scores. And a common strategy for building our credit scores is to pay off debt, which can help improve a credit score, especially if the card holder is carrying a large balance. It seems logical, then, to assume that the same strategy applies to other types of accounts — like a car or home loan, for example. And if you follow this theory, paying a loan off early might sound like an excellent strategy for building your credit score. 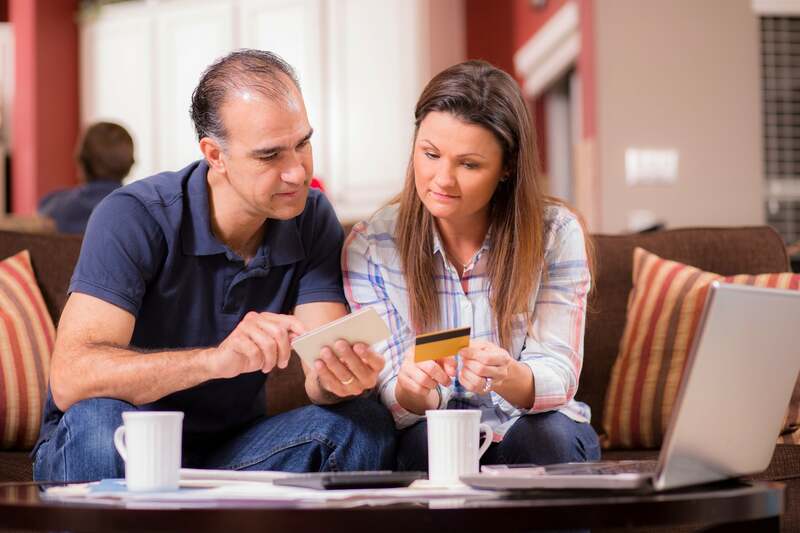 When it comes to credit scores, there’s a big difference between revolving accounts (credit cards) and installment loan accounts (for example, a mortgage or student loan). Paying an installment loan off early won’t earn improve your credit score. It won’t lower your score either, but keeping an installment loan open for the life of the loan is actually be a better strategy to raise your credit score. Credit cards are revolving accounts, which means you can revolve a balance from month to month as part of the terms of the agreement. Even if you pay off the balance, the account stays open. A credit card with a zero balance (or a very low balance) and a high credit limit are very good for your credit score and will contribute to a higher score. Installment loan accounts affect your credit score differently. An installment loan is a loan with a set number of scheduled payments spread over a pre-defined period of time. When you pay off an installment loan, you’ve essentially fulfilled your part of the loan obligation — the balance is brought to $0, and the account is closed. This doesn’t mean that paying off an installment loan isn’t good for your credit score — it is. Paying off an installment loan though doesn’t have as large of an impact on your score, because the amount of debt on individual installment accounts isn’t as significant a factor in your credit score as credit utilization is. And while paying off an installment loan early won’t hurt your credit, keeping it open for the loan’s full term and making all the payments on time is actually viewed positively by the scoring models and can help you credit score. There are a couple of ways that paying off an installment loan affects your credit score. The number of accounts you have that have balances is one factor in how your credit score is calculated. The more accounts you have, the more it will affect (and probably reduce) your credit score. And when you pay off a loan, you have one less account with a balance, which is typically good for your credit scores. The exception is never having had any accounts, which may hurt your score, because the credit bureaus then have nothing to base your credit history on. Credit scores are better when a consumer has had different types of credit accounts, from auto loans and home loans to student loans and credit cards. It shows that you’re able to manage different types of credit and is good for your credit score. Credit scores also like long credit histories and well-aged accounts. A common misconception is that when you close an account, it no longer affects your score. Not true. Scores take into consider the type of account and how long it was open even after an account is closed — the FICO Score and others factor both open and closed accounts when calculating your credit score. Even though closed accounts do eventually fall off of your credit report, closed accounts with late payments stay on your credit report for seven years. And if the account was in good standing and paid as agreed, it can stay on your credit report for up to 10 years. So, if you’re thinking about paying off an installment loan early, think again. Think about keeping it an open, active account with a solid history of on-time payments. Keeping it open and managing it through the term of the loan shows the credit bureaus that you can manage and maintain the account responsibly over a period of time. Also think about other possible ramifications of paying off a loan early. Before paying off a loan or even making a few extra payments, take a close look at your loan agreement to see if there are any prepayment penalties. Prepayment penalties are fees that are paid when you pay off a loan before the end of the term. They are a way for the lender to regain some of the interest they would lose if they account were paid off early. The interest on loans is where the lender make its profit. And if you pay early, they don’t make any profit. Sometimes paying off your mortgage loan too early can cost you money. Before making those payments early or paying extra toward the loan each month to avoid a year or two of interest payments, there are a few common mistakes you want to avoid. First, if paying extra toward your mortgage each month, specify to the lender that the extra funds should be applied toward your principal balance and not the interest. Always check with the mortgage lender about any prepayment penalties. These types of penalties can be a percentage of the mortgage loan amount or equal to set number of monthly interest payments you would have made. Never pay extra toward a mortgage if you actually can’t comfortably afford to do so. Doing so is where the term “house poor” comes from. To help protect your credit score, always make sure you have money set aside for emergencies and only pay extra if you can afford to do so. If you’re looking to pay your auto loan off early, there are several ways you can do so. When paying your loan each month, it may be beneficial to add on an extra fifty dollars or so to your payment amount, so you can pay the loan off in fewer months and pay less in interest over the loan term. If possible, specify the extra go toward the principal and not the interest. You can also opt to make an extra larger payment each year to help you save on interest as well. Make sure though to not skip payments, even if your lender offers to let you skip one. There are no prepayment penalties on student loans. If you choose to pay student loans off early, there should be no negative effect on your credit score or standing. However, leaving a student loan open and paying monthly per the terms will show lenders that you’re responsible and able to successfully manage monthly payments and help you improve your credit score. Paying off a loan and eliminating debt, especially one that you’ve been steadily paying down for an extended period of time, is good for both your financial well-being and your credit score. But if you’re thinking of paying off a loan early solely for the purpose of boosting your credit score — do some homework first to ensure doing so will actually help your score. If paying a loan off early won’t help your score consider doing so only if your goal is to to save money on interest payments or because it’s what’s best for your financial situation. This article was originally published February 20, 2013, and has since been updated by another author. You are wise to be looking at your scores now, because your scores will affect the interest rate you are offered. This blog post may be useful to you in deciding how and when to pay off those loans: The Right Way to Pay Off Debt to Get a Mortgage. Lily – It is worth a try. Why not? It’s perfectly fine to pay off your student loans. You don’t have to carry debt to have a good score, and they don’t just disappear from your credit reports when you pay them off. It would be a good idea to check your credit score, You can do that using Credit.com’s free Credit Report Card which will tell you what factors are affecting your score. Don’t worry too much lulu. That reference won’t disappear from your credit reports when it is paid off. However, it is good for you to have more than one account reporting. Do you have a credit card? If not, consider getting a secured credit card to build another credit reference. I’m afraid we’re uncertain about how credit scores work in the UK. As far as an appeal goes, it never hurts to ask. Credit.com had a post about overturning credit card rejections. Though the particulars in your case will be different, the general advice may be useful: The Art of Overturning a Credit Card Rejection. My credit score dropped 100 points because I had two items on my report in dispute..I asked them to take it out of dispute and that’s how my score dropped so low..so I decided to pay the items off in full.. One was closed credit card account and the other was a collection account..so last week my report was updated and now I’m in the high 700’s and mortgage approved..so your score will sky rocket when collection accounts are paid in full..
Noooooo! a paid-off negative account is still a negative account, there’s no boost to your credit by paying it. Also, it will remain on your credit report for 7 years from the day you paid it…. so you just kept that baddie on your record even longer while receiving no tangible benefit. You are correct that a negative paid off item may still remain on your credit reports but it’s not 7 years from the date you paid it. It’s 7 years from when it was late, or in the case of a collection account, 7 years plus 180 days from the date you fell behind with the original creditor. I would not recommend paying off a collection debt unless you get, in writing, a promise from the collection agency that they will remove the record from your report within 30 days of the account being paid in full. A paid collection debt will still remain on your report with almost as much impact as a non-paid one. Just got approved for a 20,000 car loan and they pulled a 708 for my credit score. To have that high of a credit score at only 18….. Great feeling! Glad to hear it — and good for you! I got approved for a 17,000 car loan and mine was 500 – horrible. I did however have to put $5,000 cash down. Good that I have the available funds but credit would be much better. Pay things on time and keep that score up take it from me! Ugh. The very idea that credit bureaus would use a system that actually disincentives paying off installment loans early is absolutely crazy. From the point of view of overall personal financial well-being, paying off any loan early will save on total interest paid over the life of a loan and that is a good thing. Any system which encourges consumers to do otherwise is, frankly, extremely unethical. Though this system does encourage me to save the money I would otherwise put toward student loans and (possibly invest it in a possibly higher yielding account and) use it to increase the size of my down payment on a house, lowering my mortgage rate while making my bid more attractive and potentially lowering my overall interest payments in the long term. A “hard” credit inquiry (as when you apply for a credit card or loan) causes a small, temporary dip in credit scores. It shouldn’t hurt long term. You and your husband can get your credit scores for free with a Credit.com account. It’s also a good idea to check your free annual credit reports to make sure that information is accurate. When you’re ready to apply for a car loan to replace the one you have, find out what scores are acceptable for what interest rates, and be as close to certain as you can that you’ll be approved before you apply. Does this lady get kick backs from the banks and credit card companies? If you can pay off your loan and save money on interest charges do it. Take the money that you would normally spend on the credit card and invest it. This talk about keeping loans open just to have a high credit score is really misleading. This is coming from someone with a credit score of 814, it does not matter it is nothing but a number, a scam put into place for banks to make money. I pay everything in cash now, if you can’t afford it, don’t buy it!! I have to ask. If you pay everything in cash? How is your score 814? Exactly! couldn’t maintain that paying cash. I highly recommend getting a Walmart card. Seriously, they approve people easily, and they constantly increase your limit as you pay your bill on time. It’s an excellent place for someone new to build their credit. I bought a new truck in 2011 and got 3.5% interest. Since then, I got a 4K limit Visa card…and when I went to buy a 65K car…was declined most places and offered a 10% APR from one lender. I turned it down and walked away. However, the only thing that’s changed since my original truck purchase, is that I have a vacation on the Visa card. I make plenty of money, so I know income isn’t the issue. I sold the truck and made a $3500 profit. I intend to pay down my Visa to $500 balance, and pay off some other cards…but keep them open. Do you think this may boost my score back up to the 720 it was a couple of months ago? We don’t know how quickly your score will come back up (a number of factors go into your score), but you are right that the amount charged on your Visa card may have pushed your score down. Part of your score is determined by how much of your available credit you are using. Anything higher than 30% can hurt your score (and it’s better to keep the balance under 10%). With a $4,000 limit, 10% is just $400. Here’s how to monitor your credit score for free and also get an analysis of the factors that make it what it is and an action plan to improve it. My credit score is 798. If I pay off a 5k loan early that will save about $800 in interest, but would that add very little to my score? Under what circumstances would a score ever drop from a very early loan paydown? A score that high is well within the excellent range. Paying off your loan early may or may not affect your scores (there are many variables involved). Scores fluctuate, so we wouldn’t read too much into small changes. We would advise doing what you’ve been doing — paying on time and keeping card balances low. And don’t sweat a few points’ difference in score. We wrote about that here: Why a Perfect Credit Score Doesn’t Matter. I am also looking to buy a house and like a person earlier in the thread want to pay off an installment payment so that I can avoid the interest and have more usable income. Will it hurt my score? It could conceivably hurt your credit mix (one of five factors that affect your credit score). However, credit mix accounts for only 10% of your score, so keep that in mind. Other options might be to pay off your loan and also take out a much smaller installment loan, so you have both the benefit of an installment loan and more available income. It’s also smart to check your credit reports and dispute any inaccuracies. Here’s how to get your free annual credit reports. You can get your free credit score from Credit.com, as well as see how your credit is affected by the five factors mentioned earlier. Pay down the loan so you only have 2 payments remaining when you apply. You will still get the benefit of the credit mix in your credit score and most lenders will not count a debt in your DTI ratio if it will be paid off in 2 months. I am considering paying off an installment loan so that a potential mortgage lender will see that my monthly expenses have decreased about $440 a month. I am hoping that this will also increase the amount of house I can reasonably afford to buy and still keep my debt at or below %40 of my income. Will paying off this account cause my score to go down? I guess I could use the same amount to buy down the rate on the house, but I would rather pay off the car loan and have that money go back into my budget so that taking on a mortgage is that much more affordable for me each month. What would you suggest? It’s possible your score could drop somewhat if that loan is your only active installment account. I have a question about this because I have a personal loan of $1,000 from my bank. This is the second time I have gotten a loan amount of this size from this same bank. The first one was from a few years ago. Both times when I have gotten declination of credit letters or increase of APR letters one of the reasons cited is “lack of recent installment loan history.” I don’t get it. This is a current loan, I just made the 2nd payment on it and and yesterday got this increase in APR letter from the same bank that issued the loan. How could they not know that I have a current installment loan….with THEM? two free credit scores every 30 days from Credit.com. If your primary goal is to raise your credit score, paying off the loan over time will be your best bet. However, if you have the money to pay off the loan in its entirety now, you’ll save money in interest by doing so. One saves you money, the other fosters a healthier credit score. It’s a matter of personal preference and your own financial goals. A good credit score can save you money in the long run, but if you aren’t planning to apply for any new credit in the next few years, paying off the loan to avoid extra interest charges may be the smarter move. Is it now reported as an open revolving account or as a collection account? If the latter, it doesn’t matter. If it’s an open revolving account then the question is do you have any other accounts? If not then paying this off could leave you with no active open accounts which could hurt your scores. But if you have others, then it’s probably not such an issue. It really depends on everything on your reports and it’s hard to say with such limited information. If I take a loan out for $10,000 and pay if off in 3 months will this effect my credit score negatively? A new account can drop your scores a bit in the short run. I can’t guarantee it but the effect usually levels off once it is paid on time for a few months. Kayla – I am not sure I understand. What is being reported that is bringing down your credit scores? Is there a way to keep an installment loan account open after it’s been paid in full? Would a credit score be affected if the rate on a loan was decreased? I joined the military after I had taken a loan. The initial rate was 12%, which then dropped to 6% after joining the military and submitting some documents to my loaning institution. I have been sued…. The credit card lawyers could not come up with the documents to support their case and after 9 months the case was dropped. In Florida they have 5 years to bring a civil suite….after that there out of luck. Each state has their own statute of limitation. Wait two more years (7 total)and it’s off your credit report. I’m 6 years in and my credit score is 715. One more year and it’s all gone. I’d be foolish to pay anything now. Absolutely false. The FDCPA states when the debt date starts…and that’s the date of first delinquency. Making a payment on it 6 year after that date does NOT restart the 7 years. It restarts the statute of limitations for you being sued if you don’t pay, but the d.o.f.d. is already established. Quit misinforming people with your “expert” b.s. The only reason why it doesn’t help your credit score to pay off installment loans early is because banks and credit unions aren’t getting all of your interest payments. It seems to me that your credit score is your ability to payoff debt (with interest). Unfortunately, living with debt is now the norm, not the exception. If there are accounts that have been “delinquent” or in default for years, is it worth it to pay them off? After paying them off, how would that affect the credit score? Will that come off of the credit report? I have been paying auto loan for the life of loan period which is 5 years. When the bank reported that loan has been paid off, my credit score has decreased by 33 points from 712 to 679. What have I done wrong? I know its good to have variety of credit types but I should pay the installment off at some point right? Any ideas? Score fluctuations are common, even if you’re doing good things like paying down debt. Repaying debt is the right thing to do, though you’re right that paying off your only installment loan can ding your credit from an account mix standpoint. It may seem odd that doing the “right” thing would result in a score drop, but account mix is just one part of your credit score. Focusing on things like continuing to make on-time payments and keeping your credit card balances low can help you improve credit over time. Any idea about how much ones credit score will jump when paying off a car loan? My car loan payment will be complete July 2016 however; It looks like I’ll be able to pay it off completely a month or 2 early (I haven’t decided if I want to yet). But it’d be nice to finally be relieved of it –early at that! Based on what we reported for this article, yes. Still, it can be hard to predict how your credit score will change, because there are so many variables. You should do whatever makes the most sense for you financially. Raise my FICO from 430 to 750 in 12 months. I now have five credit cards with a total limit of $8,000 and a personal loan for $1,800.